Let’s admit, all of us like to eat good food, not only good food but treating our taste buds to the maximum. But at the same time being fit and healthy is equally important. Some of us may like Spicy food, while some of us may not; but one thing that neutralizes all of us is something sweet. Be it something Chocolaty, or maybe just a Sweet dish, but we all tend to crave something sweet at least once a day. Although there is a growing emphasis on our health, our vulnerability to diseases like diabetes is also increasing. This forces us to cringe while we are taking that one bite of joy. There are a lots of sugar substitutes , available in market nowadays but they have side effects too. Think of managing the delicious desserts without any added sugar and with health benefits too. You need not worry anymore; here are a few simple, healthy and quick sugar free dishes that you can have at different meals of the day, without worrying about your blood sugar level. 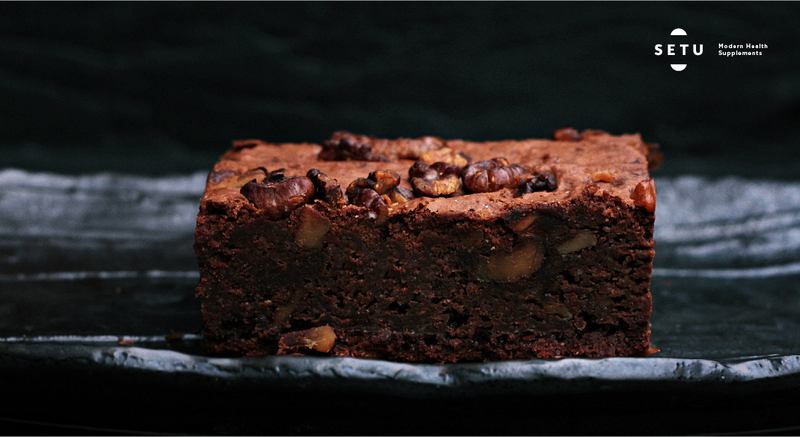 All of us love the occasional brownie at a bakery. But the point is that this is always occasional due to its large sugar content. The unbaked walnut brownies are the healthiest type of brownies out there, and the best part is, they’re actually delicious. These brownies may not have sugar, butter, or flour but a quick preparation period makes this is a perfect dish to go for satisfying your sweet tooth cravings in a healthier way. ● 1-2 tsp espresso powder or you can use finely ground coffee. Step 1: Grind one cup of walnuts and one cup of almonds together to a fine powder. Step 2: Take a bowl, add and combine the cocoa powder, espresso powder/finely ground coffee with a pinch of sea salt and keep it aside. Step 3: Process the dates in a mixer until small bits remain. Step 4: Put the mixture of bowl kept aside in steps 1 and 2 in the mixer and process while slowly pouring the finely processed dates in step 3. Add more dates if the mixture falls apart. Step 5: Add the mixture of step 4 in a cake or loaf pan, and add the remaining walnuts to it. Mix properly, and eventually flatten the whole mixture out. Step 6: Place it in the freezer for a while. Note: You can use raw cacao instead of cocoa powder. Raw cacao has higher antioxidant content and is rich in nutritional value as compared to cocoa powder. Cacao powder lowers insulin resistance. 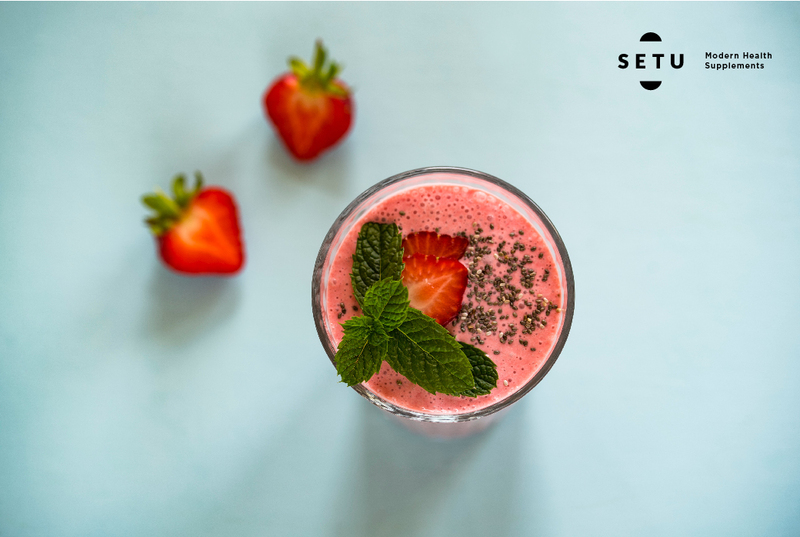 This smoothie is one of the best option for breakfast which not only keeps you full but also give necessary supplements for all day activities. The combination of Chia the small wonder food and berries the low sugar foods are a go to thing for satisfying your sweet tooth at any time of the day. Further chia means ‘strength’ and have immense health benefits which makes them a must in anybody’s diet. Eating berries will not just quell your cravings, they’ll ward off overeating, too. Step 1: Blend the berries well in a food processor. Step 2: Add cold milk, peanut butter, chia seeds and cinnamon to the food processor containing processed berries. Grind again. Step 3: Pour the prepared smoothie in a tall glass and chill in the refrigerator or enjoy as it is. And there you go. Note: Not to mention, you are incorporating the goodness of chia seeds in your diet with around more than 500 seeds in each serving. In India on any festival the no.1 dessert which is everybody’s best friend is none other than the delicious yummy “Kheer”. Now some of you might be wondering about the sugar content in the kheer, Ohh please don’t worry about that , we are here to get healthy and sweeter version of the desserts. So substitute your sugar with dates. This dessert really tastes yum and should be given to kids as well since dates have lots of iron. Don’t judge this dessert by reading, give it a try and you will thank yourself for trying this. Now let’s have a look at how to prepare this. Step 1: Soak Dates, Almonds and Walnuts in ½ cup warm milk for about 15 mins. Step 2: Grind soaked ingredients in Step 1 along with the milk to fine paste. Keep in mind that the paste should not be runny so if you need to use extra milk for grinding be cautious. Step 3: Fry Raisins and Almonds for few seconds in a saucepan on medium heat using Ghee. Step 4: In a saucepan boil 3 to 31/2 cups of Milk on high heat until it comes to rolling boil. Once it comes to the boil lower the heat and add Saffron strands to it. Mix it well and you will see a nice color appearing to the boiling milk. Step 5: Let it simmer on low heat for 5 more minutes and then switch off the heat. Step 6: Add fried nuts & raisins, cardamom powder, along with the prepared paste in Step 3 and mix well. Step 7: After it cools down completely, refrigerate, if you like it chilled or else enjoy this healthy and tasty kheer warm. So go ahead, try these recipes and satisfy your sweet tooth without a guilt. Eat healthy, Stay healthy.